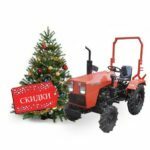 Mini tractors have long been in demand from peasant and farmer households. 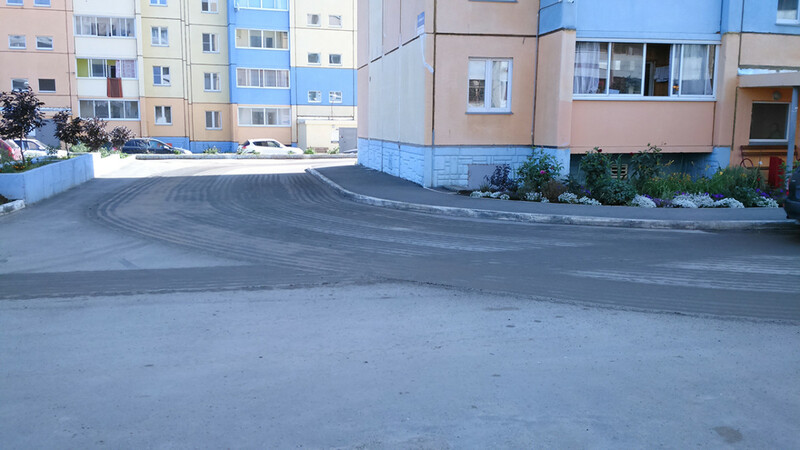 Now, apparently, it’s time for utilities in the Chelyabinsk region to try out this technique. Their colleagues from other regions have already taken advantage of this opportunity. Multifunctional equipment, which can be used in a wide range of activities, has been produced by Traktor LLC for many years. At the recent exhibition “Agro-2017” the company received a gold medal for its technical novelties. 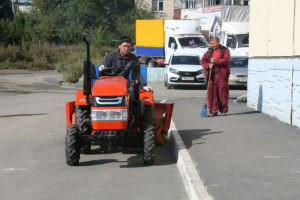 Various tractors and units of enterprises from the Chelyabinsk region have been used for five years by public utilities in Moscow and Kurgan, many enterprises and organizations in the Southern Urals. “Our equipment is used, for example, for the improvement of the stadium in Korkino and Chelyabinsk,” says Ekaterina BYKOVA, head of the sales department at the Emanzhelinsky minitractor plant. 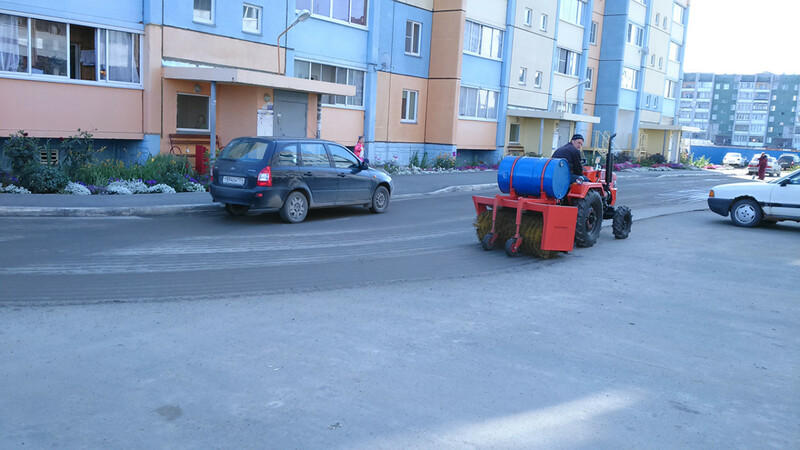 – In the same Korkino, our tractors are periodically used to clean streets. 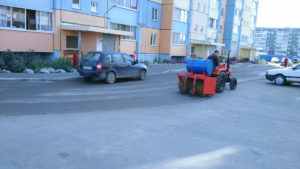 Local utilities do not want to do this, as the roads there are quite narrow, but this is not a problem for our mini tractors. For public utilities mini-tractor may well be an indispensable assistant, as they can maneuver in the narrow between yard driveways, and mounted units allow you to perform a variety of works. By the way, on the “Agro-2017” the enterprise presented a hammer mower – such equipment is practically not produced in Russia, but mowers are very in demand in European countries. 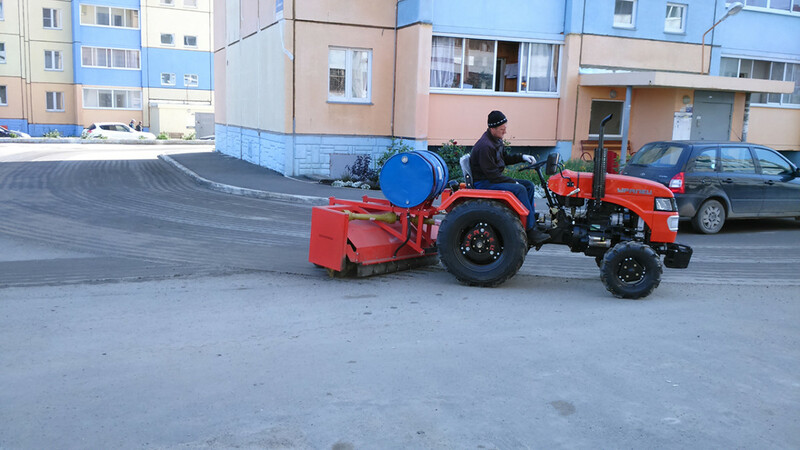 Our utilities have already tested this equipment for mowing lawns: in the village of Zauralsky, in the Yamanzhelinsky district, on a mini-tractor “Uralets” the lawns are mowed for the second year. 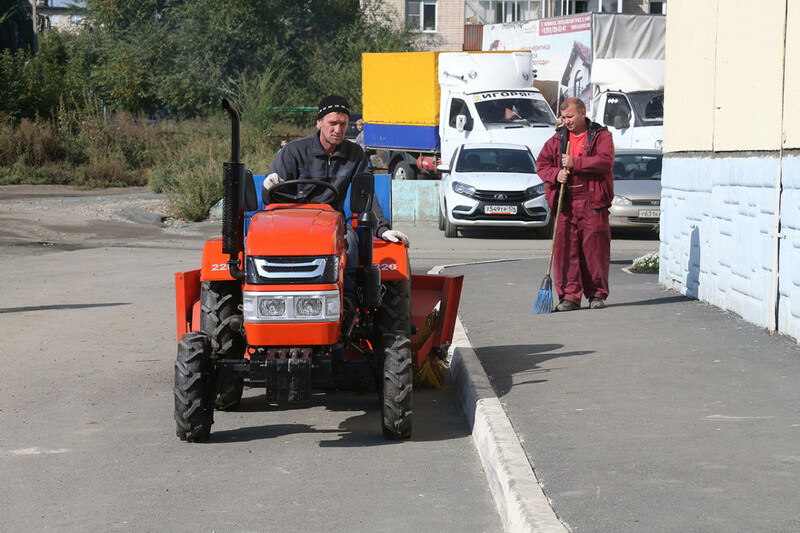 “The use of a mini tractor reduced the cost of servicing the yards,” said the head of the settlement Irek SABIROV. Employees of LLC “Universalservis”, headed by Valentina Zykova, were also satisfied with the work of the equipment. According to her, everyone was impressed by the quality and speed of the mower. The company’s technicians were also interested in the managing company Gazservis-1. 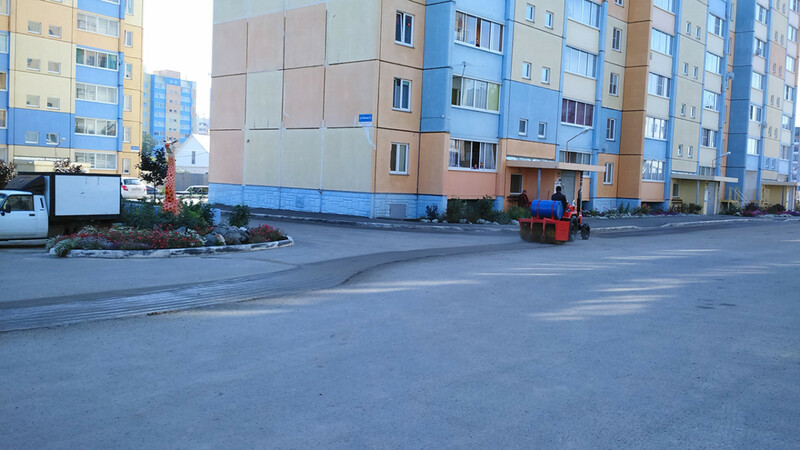 The other day in the village of Novosineglazovo on Klyuchevaya street in the courtyards of the houses, which are serviced by the company, a mini tractor Uralets-220 demonstrated its capabilities. Equipped with a brush and a pot of water for irrigation, he cleared the driveways from sand, dust and small gravel. 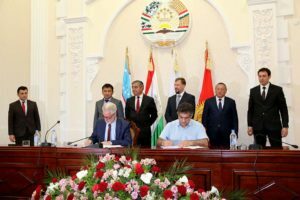 “We have been looking at this technique for a long time,” says Nadezhda Kataeva, director of the management company. 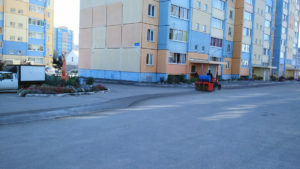 For example, in winter the problem of clearing snow is acute, but large tractors are usually occupied. And at other times of the year, janitors often do not have time to clean up the territory. Now we will look for a sponsor to purchase such equipment. Due to what reduced the price? I must say that the mini-tractor “Uralets-220” in winter can be equipped with a front or rear grader shovel. Special “fangs” can remove ice, and the shovel itself then removes the remaining fragments. It produces an enterprise and small excavators, which can excavate holes up to two meters deep in the immediate vicinity of the house wall. This technique can also be very useful for public utilities. 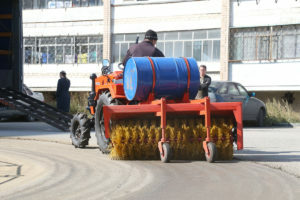 In OOO “Tractor” intend to continue to work on the development of new units – in the plans to produce mini-tractors with a vacuum cleaner for cleaning sidewalks and the roadway. Now the company’s products are supplied throughout Russia, as well as to Kazakhstan, Kyrgyzstan, Armenia, Lithuania. Attracts consumers not only high quality, but also the price. 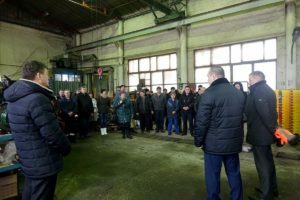 This year, thanks to the support of Governor Boris Dubrovsky and the Minister of Agriculture of the region Sergei Sushkov, Tractor LLC received a federal subsidy – compensation for the costs of payment of the collection fee. These funds were directed to the development of production and the acquisition of new equipment, and they allowed to reduce by 30% the cost of production, and hence the price of a mini-tractor. “The policy of our President Vladimir Putin, which supports the development of industry in the country, is of great assistance to us,” says plant director Vladimir ANDRYUSHCHENKO. -And at the regional level, one can not help noticing the attention of the regional governor to business. This allows us to successfully work to increase the competitiveness of products and strengthen the market position.